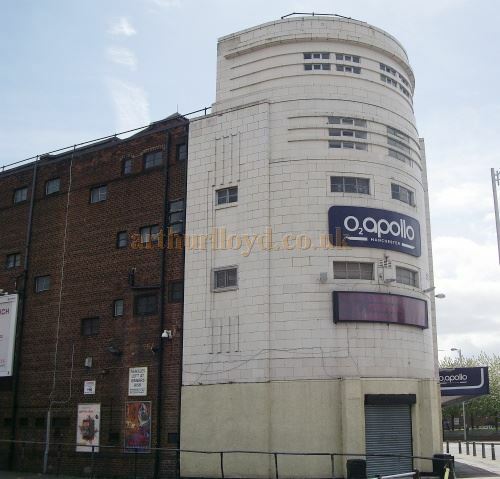 The Apollo Theatre in Ardwick Green, Manchester was built as a Cinema in 1938 by Peter Cummings & Alex Irvine. 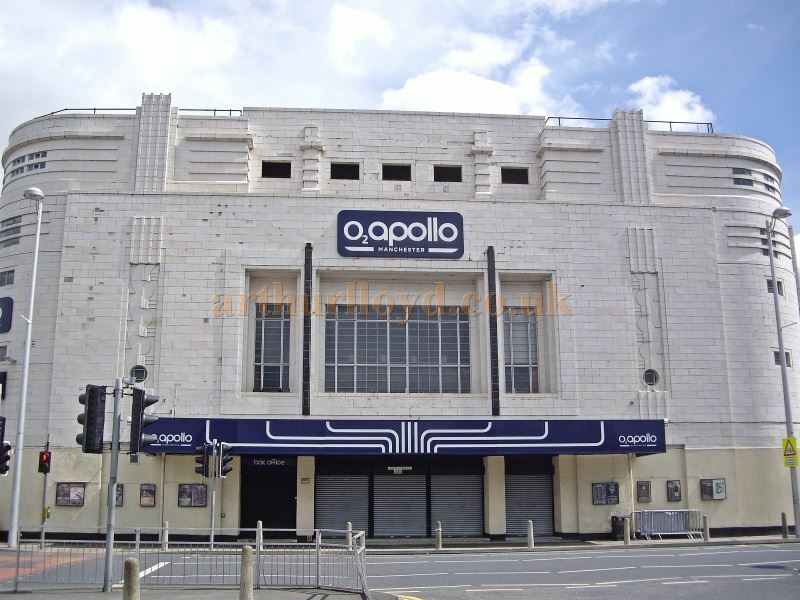 The auditorium is in the Art Deco style with a Horseshoe Gallery and in its present form can accommodate 2,634 people seated, and around 3,500 standing. In the 1970s the Theatre was modernised and, as well as Film, presented Variety performances and Pantomime on its stage. 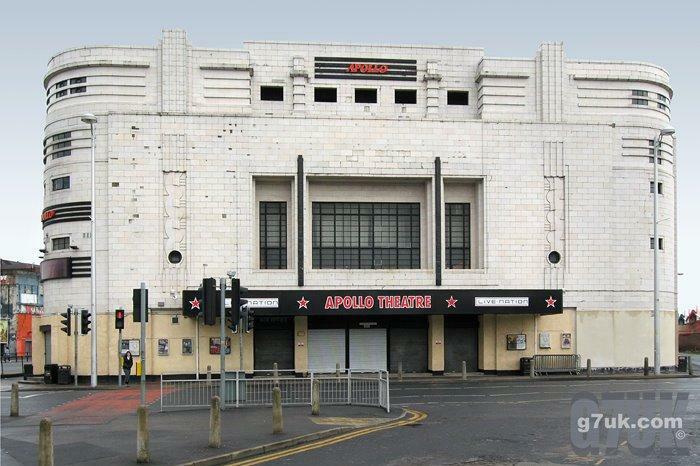 Right - The Apollo Theatre, Manchester in May 2015 - Courtesy Alfred Mason. 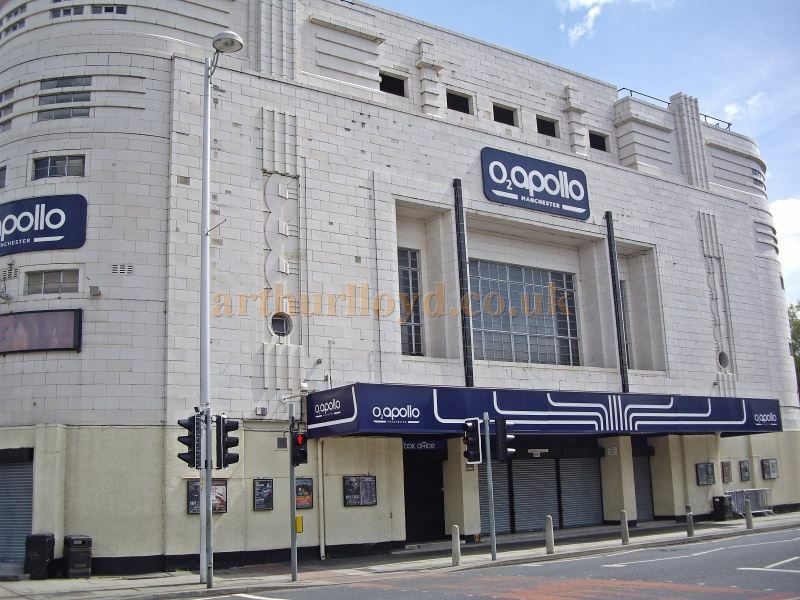 The Apollo Theatre has since been converted to a live music Venue called O2apollo Manchester, and I am told that although it is in need of some refurbishment, and especially air conditioning, the Theatre is still largely intact.